Geography: South East, Isle of Wight. Main population centres: Cowes, Brading, Newport, Yarmouth, Ryde, Shanklin, Ventnor, Sandown. Profile: The whole of the Isle of Wight, which is itself a whole county and effectively a unitary authority. The local economy is largely based upon tourism, both from the nautral beauty of the Isle of Wight, the traditional seaside resorts on the island and the island`s world famous connection with yachting, particular the annual Cowes Week regatta. As with most seaside resorts on the South coast, the seat has a very high proportion of elderly people. In the 2001 census a quarter of the population were pensioners. The island is also the site of three prisons, most infamously Parkhurst Prison. Politics: The Isle of Wight has by far the largest electorate of any seat in the UK, despite the large size of the Isle of Wight geographical considerations have prevented any splitting of the seat into smaller seats. Its theoretical entitlement in the fifth review was to 1.48 seats, just short of the size where the default position would have been to add an extra seat. The possibility of splitting the seat into two and having one seat that crossed the Solent to include part of the mainland was rejected because of considerations of identity and communication difficulties. Under the new boundary rules and the abortive sixth review the Isle of Wight would have been one of three areas exempted from the strict electoral quota rules, and guaranteed two seats of its own. ANDREW TURNER (Conservative) Born 1953, Coventry. Educated at Rugby and Oxford University. Former teacher and education advisor. First elected as MP for Isle of Wight in 2001. ANDREW TURNER (Conservative) See above. DAVID GOODALL (Liberal Democrat) Born Southampton. Educated at Cowes High School and Portsmouth Polytechnic. Eastleigh councillor since 2002. Contested Southampton Itchen 2005, 2010, Hampshire police commissioner 2012 election. IAN MCKIE (UKIP) Investment banker. VIX LOWTHION (Green) Educated at York University. Geology and geography lecturer. IAN STEPHENS (Independent) Born Isle of Wight. Retired retailler and communications consultant. Isle of Wight councillor, former leader of Isle of Wight council. Well, this may be listed as a semi-marginal right now, but looks like it’s on the way to becoming a safe Tory seat. The Lib Dems sucked all they could out of Labour in 2010, and they still didn’t get close. Andrew Turner MP is broadly popular, even if the Tory council isn’t, and the Lib Dems on the island are probably still dealing with the schools fiasco that got them booted out of council control back in 2005. Interesting bit of trivia: the Isle of Wight is one of those few seats (the only?) where they increased their share of the vote in 2001 AND 2005 (the latter benefiting from that schools crisis). Labour might have a shot at 1 or 2 seats more on the council in May 2013, but that’ll be about it for Labour chances on the island. Personally, I love the political culture here. Self-contained, a proper focus on local issues because of that, and furthermore – through the award-winning OneWight blog – lots of locals actually follow local news and politics. Clarification: Whoops. Made it seem as if the Lib Dems increased their share of the vote in 2001 and 2005. That should have read as Labour increasing it. Is that a council prediction? Because the council is elected by whole, and that election is in May. Unless it was a typo. Anyway, maybe UKIP could gain representation. Certainly if memory serves UKIP have got above-average votes on the island. I don’t know if I’d say 10, but I don’t know the politics of the island that well enough. Labour though won’t gain 14. They currently have 1 councillor, and really they’re going to be aiming for another 1 or 2 I would imagine. And the Lib Dems will not make gains like that – quite apart from their national problems, they got booted out hard from council control in 2005 after that schools crisis, and from what I hear they still haven’t really recovered from that. My guess for the council is, whilst the Tory council is unpopular, the opposition won’t coalesce around a single party (or independents), and the Tories will retain a strong majority. Oh sorry, I had a dumb moment, I can see you mean general election percentages (I’m new here :P). I’m surprised the Isle of Wight isn’t going to be treated as a special case by the Boundary Commission a la Buckingham and Milton Keynes in 1992. The tenure of Stephen Ross as MP here from February 1974 to 1987 was in many ways quite extraordinary in terms of how he first got elected in the first place. Before he won in the first election of 1974, he had only managed to come a distant second in the constituency on his first two attempts- 1966 and 1970. Although notably, his numerical vote increased in the latter year- Perhaps a sign of the breakthrough for the Liberals that would later materialise in this seat. But then the sitting MP Mark Woodnutt got himself into a bit of bother over the Bembridge Harbour Scandal, and that conspired for him to lose his seat in February 1974. This is all just according to Wikipedia, but it is believed that the Liberals and Labour locally had both tactically teamed up to ensure Woodnutt’s defeat. And further reading of Woodnutt’s Wikipedia entry suggests that locally he had become very unpopular as a direct consequence of his business dealings, which firmly established Ross as his main challenger. Ironically, Woodnutt died in November of that year. Swing- 20.7% From Con to Lib. Yeah, if memory serves they tried closing down a few schools out in some of the more isolated areas of the island, in an effort to consolidate some together in more central locations and save on resources. The whole thing ran against public opinion – you don’t mess with the education of a voter’s child lightly – and the Lib Dems have been in a bad state ever since. Indeed, though I can’t remember the exact number, the Lib Dems are fielding only a few candidates this May. Really shows how far down they’ve gone. An interesting council race will be in the council leader’s ward. Labour and UKIP have both decided not to field candidates, to give a local pub owner a clear shot at kicking him out. The IoW is hosting the largest contingent of independent candidates of any election this May, and I expect the Tories will end up losing some seats to them. Suspect the Tories will still be in with majority control though, as Labour aren’t going to make a terrible amount of headway. Quite a few wards left to declare, but David Pugh – the Tory leader of the council – has lost his seat to an independent. Terrible day for the Conservatives on the island. They have lost overall control. Looks like they will be short by 5. And as above, they have lost their council leader. Few people were expecting them not to retain overall control. Very bad for them. Tories and Island Independents short of a majority by 6. I expect the latter will take control, as they have a much better chance of reaching an understanding with enough of the other groups. Quite apart from the independents unexpectedly making a bid for power and pushing out the Tory leader in the process, is the depths the Lib Dems have now sunk to. By the election in 2001, they had been in control of the council for 20 years and it was they sending an MP to Westminster. Now it’s 2013 and they’re down to 1 councillor. A sorry end to the better days they once had. I won’t count them out forever just yet – there’s so much tradition behind them on the island that there is the space there for them one day to recover. But that day is far away. Something seems to have gone badly wrong for the LDs on the Isle of Wight. They only put up 7 candidates in the county council (with just 1 being elected in Nettlestone & Seaview), and polled 4.6% overall. And one of the big things that hit the Lib Dems here was the defection of many of their high-profile figures, including a former leader of the council, to stand as independents, and some of them did indeed get elected. They didn’t stand as part of the Island Independents, but they’ve now since joined, as have all the other independents, and the group has now taken control of the council. The party leader on the island – the only LD who got elected – basically put down the mass defections on the eve of selections as the reason why they weren’t able to put forward as many candidates as really they should have – to go from twenty years of control by 2005 to this is shocking. The party is facing an existential threat here, as this is certainly an indication of an organisational and morale collapse. Like I said above, I’m hesitant to call this a long-term decline yet – the party just has too much history on the island – but unless they’ve got committed people left to rebuild the party, their vote share is going to go southwards rapidly at the next general election. The disarray in LD ranks might provide an opening for UKIP to become the second largest of the main parties on the island after the Conservatives. On the 1981 local election show I’ve just uploaded to YouTube it was mentioned in passing that the Liberals had taken control of the county council, I assume for the first time. Yes, that was the start of their long reign of power on the island. Before that, the Tories had been in for a term, and before that another group of independents – incidentally, this makes the Island Independents the first group of independents to win an all-out council election on the island since 1973. In 1998, the council was reduced to no overall control. I’m not sure if the Lib Dems carried on in charge, but I’m pretty sure they did. Anyone want to confirm? They certainly had control after 2001, but 2005 was a big kick in the backside for them and they’ve never been the same since. I suspect the LDs will stay as the second party come the general – they can at least attract voters who know Labour will go nowhere here parliamentary-wise – but unless UKIP really tear into Turner’s majority, this will be a safe seat for the Tories for the foreseeable future, or at least until the Lib Dems here get their act together. I’m sure you’re right although it has to be said the demographics don’t come much better from a UKIP point of view than on the IoW. Labour’s candidate in that election. Cathy Wilson IIRC, was a disabled Militant-supporting hotelier. A sign of better times. Ross must be rolling in his grave over the godawful mess the Isle of Wight Liberal Democrats have got themselves into here on the island. that was a helluva lot of votes he got in 1983. The defeated Tory candidate that year was Virginia Bottomley. Stephen Ross deserves at least some praise for keeping her out of parliament for a time then 🙂 . well only for a year. She was elected for SW Surrey in a by-election in 1984. It’s interesting that Peter Bottomley, having entered Parliament as long ago as 1975, has now outlasted not only his wife, but even his niece (Kitty Ussher, Lab, Burnley, 2005-2050). whoops 2050 should of course read 2010. Stephen Ross’ record in Parliament was incredible- I had a look at his contibutions in Hansard last night and there was an awful lot of speeches he made between 1974 and 1987 in the Commons- And then some more when he was in the Lords thereafter until he sadly passed away in 1993. So before he first stood, the swing the Liberals needed to take the seat was 19.29%. But in 1966 he increased the vote share by 7.5%, then got more numerical votes in 1970 even though he went down by 0.2%. Even nearly 40 years on, I must say that the result Ross achieved, irregardless of the local circumstances, was nevertheless still incredible and well above the national average for the Liberals. Swing- +20.72% From Con to Lib. Presumably J.D.Fishburn is Dudley Fishburn, later Conservative MP for Kensington from 1988 to 1997. Plots afoot within the local Tories. 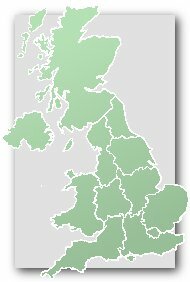 According to this – http://onthewight.com/2013/10/07/attempt-to-oust-andrew-turner-as-isle-of-wight-mp-candidate/ – key figures are trying to de-select Andrew Turner. Personally, if this really is what’s going on, I find the attempt laughable. Looks like David Pugh, the recently ousted council leader, is behind this – it’s an open secret Pugh and Turner don’t get along, just as the article describes. What’s laughable is, Turner at least has a good reputation on the island, what with his independent streak. Pugh had a very poor reputation – so much so he led his party to an unexpected defeat in the council elections, and lost his own seat in the process. If this attempt succeeds, I expect problems for the Tories. A follower of the island’s politics, I know these things tend to get followed more by the average islander compared to the average voter elsewhere would follow local politics. Pugh pushing Turner out will only taint the new Tory candidate, and Turner’s grassroots appeal will mean the local Tories will end up divided in a campaign. Course, I don’t expect the Tories won’t win this constituency. They’ll win it easily. But it will give UKIP another good thing going on this island. “Course, I don’t expect the Tories won’t win this constituency. They’ll win it easily”. There’s nothing unusual about this at all. It has happened in many seats in the past and will happen in many seats in the future. Chances are Turner will easily win reselection and it will all blow over. Of course. Antiochian’s sentiments are wishful thinking on a grand scale. Mind you, if I were a LibDem, wishful thinking might be the way to go……. Oh I’m sure he’ll get through it. Like I said, find it more laughable than anything else. Anti, this spate really has more to do with personalities than politics. Pugh and Turner haven’t exactly been best buddies for a very long time. In anycase, I can’t see what threatens the Conservatives here. The Lib Dems took an embarrassing hammering at the local elections, UKIP advanced by they’re not going to make enough headway in time, and as impressive as the independents’ performance was I don’t see that translating into a win for an independent candidate. As far as I’m concerned, this is true blue for the foreseeable future. If there’s infighting in both the LD and Tory camps UKIP must be pleased. After what happened in Croydon Central, why shouldn’t a fight impact negatively? You seem rather sanguine that Turner can fight off a challenge and what if he was unsuccessful and ran as an independent? This has been a LibDem seat before there is no reason why it shouldn’t be again… its not pie in the sky..
FWIW.. 2011 census figures had Number of Usual Residents – all persons at 138,000 compared to 131, 739 in 2001 Census..
Its pretty outrageous that this seat only gets 1 MP whilst the western isles gets 1, despite being more than a whole quota lower in population. This topic has been dealt with before. You are perhaps right Joe, but successive boundary reviews have revealed that by a substantial margin the population of the island prefers to be under-represented, rather than have 2 small seats. I always thought it odd that Anglesey gets a full seat with about half the electorate of the Isle of Wight. It strikes me as blatant partisanship if the boundary commission will over represent other islands as a ‘special case’ but under represent here. For what it’s worth though I believe equal sized seats trump local Mumbai jumbo overall though.